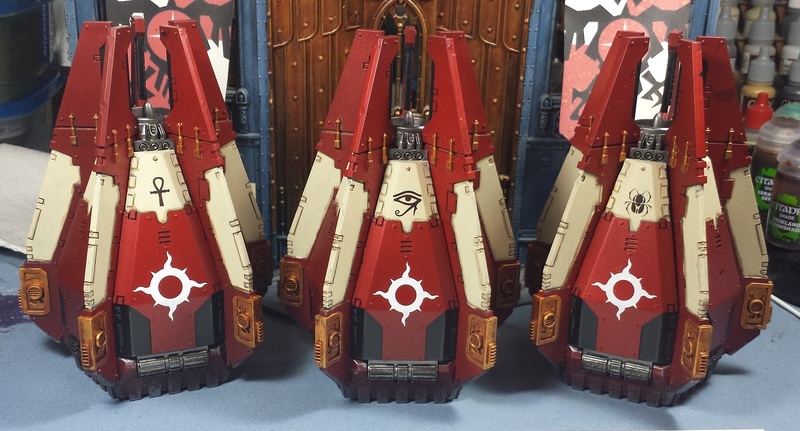 Mordian 7th Regiment: Heresy Era Thousand Sons - Drop Pods complete! Or more accurately, I'm done with them! 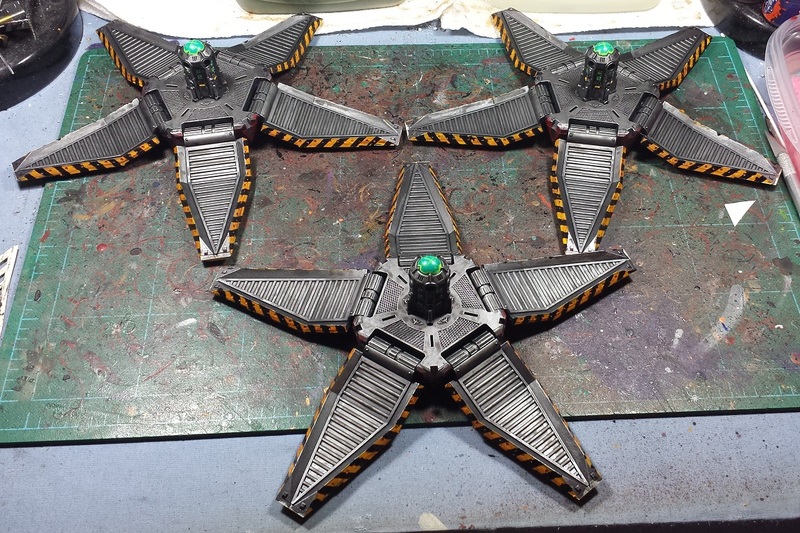 When all is said and done I am really rather happy with them, but not keen to do more drop pods anytime soon. The upcoming Sons of Horus will emphatically not be a drop force! Once the bone and gold were laid in they definitely started to feel a bit more Thousand Sons-y. Some hieroglyphs and the nova legion symbol helps drive it home! Of course, nearly all that legion goodness will be obscured when they're actually in play. On the other hand, a couple more spot colors do give them a bit more visual interest. Leaving the two sections separate for painting really paid off in the final stages. Getting the hazard stripes and control pylons done would have been a nightmare otherwise! 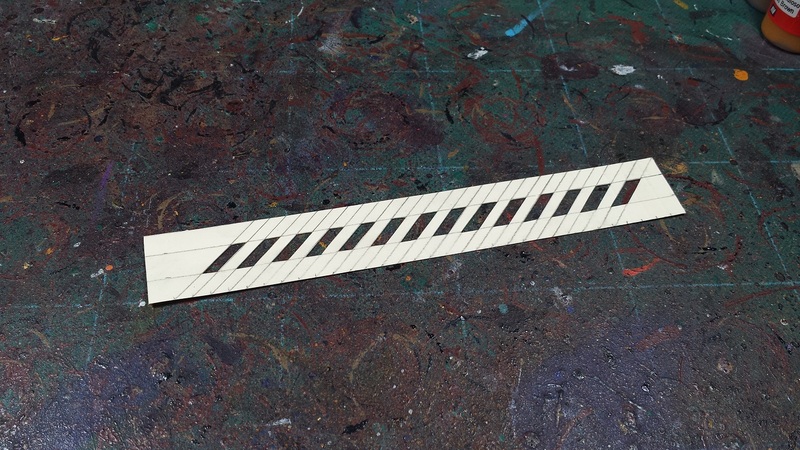 Ended up taking a crack at making a little stencil to help with the hazard stripes, which worked fairly well, though even with the lower section loose it was still challenging to get the stencil in place. Blu-tack to the rescue! At this point I'm closing in on the last of the models earmarked for NOVA later on this year - All that remains are a trio of Javelin Land Speeders and the Storm Eagle. Then more test games, discover my army list is rubbish, and then some frantic painting to get some unplanned new stuff finished! on the template....brilliant! I love the pods, but the template....oh that must have been satisfying. with the doors down it could pass for a blood ravens drop pod, but that would be crazy - who would mistake that for...uh, some people are here. i have to go. everything is normal. Good job getting them over the finish line, they look well. Hopefully you will enjoy the next section more. @John Stiening: Hah! Indeed, worked reasonably well - definitely better than trying to freehand them, or pencil them in first. Overall saved a ton of time and frustration! @Zab: Haha! I do have a bit of a twinge to do some Bloody Magpies for 40k with the resurgence of 8th edition. 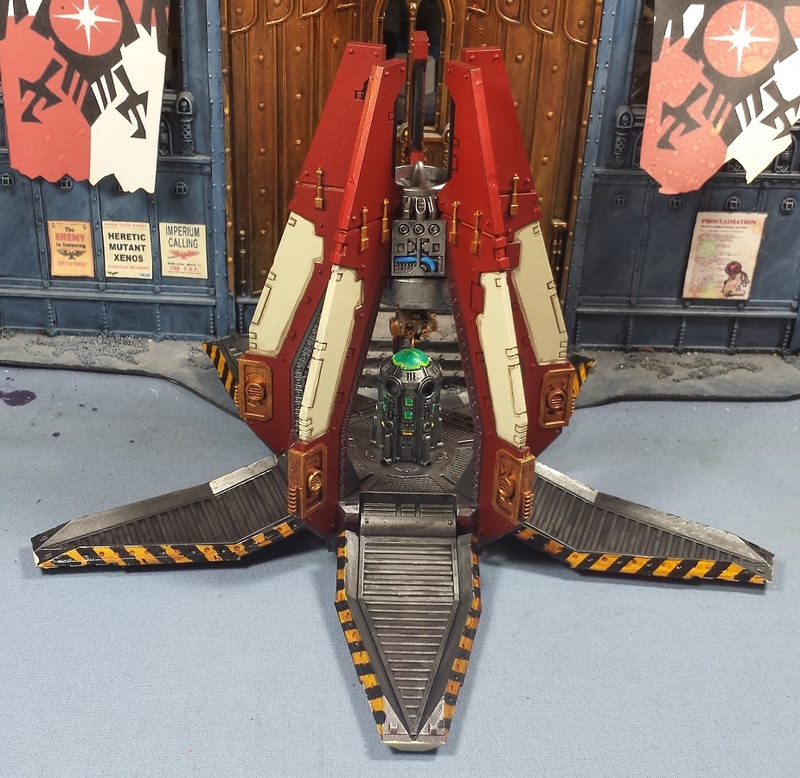 These pods may see double duty... HERESY! @Rory Priest: Thanks man! Indeed, quite looking forward to the next part of the project! @NafNaf: Absolutely, these three nearly broke me. These will be the last drop pods I do for quite some time I think! @Todd Sherman: I appreciate it! I'm hoping to get in a test game of the 2500 point force over the 4th of July weekend, fingers crossed! Great looking pods Mate, love the colours. @Jamie Farrar: Thanks very much!